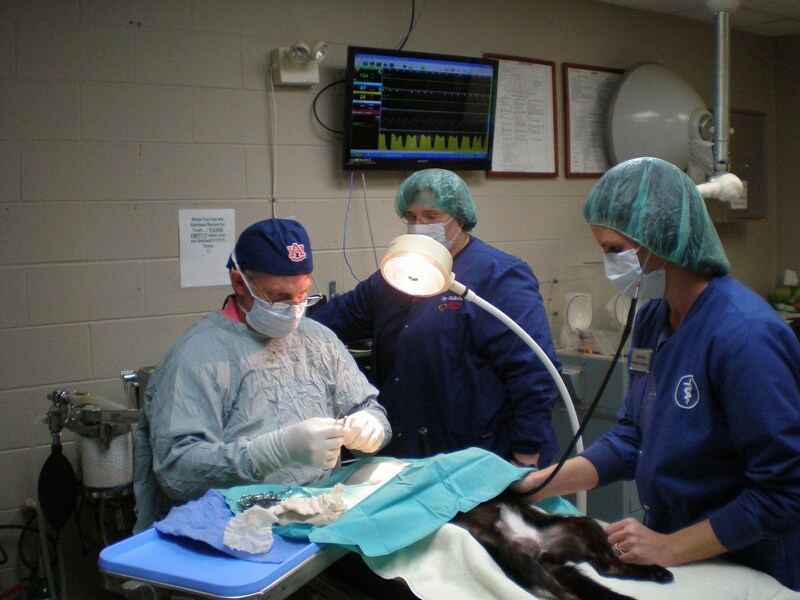 Surgery is an essential service for our pets over the course of their lives. 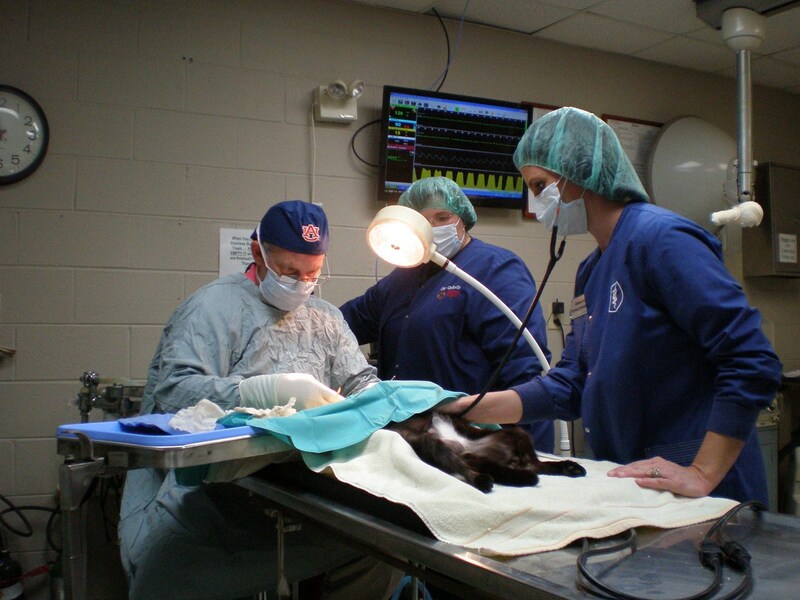 At Clay-Chalkville Animal Clinic, our team follows strict protocols for anesthesia and surgery. The surgical assistants and doctors have access to multiple forms of monitoring to ensure procedures are as safe as possible. 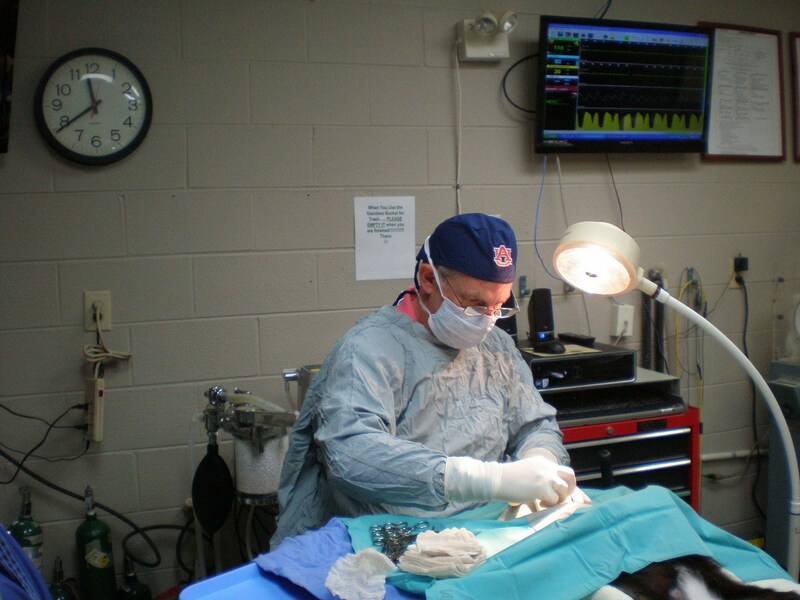 Orthopedic: Our doctors are able to provide surgical options for fractured bones and ligament tears (i.e. ACL rupture). Please feel free to inquire more on the procedures offered. 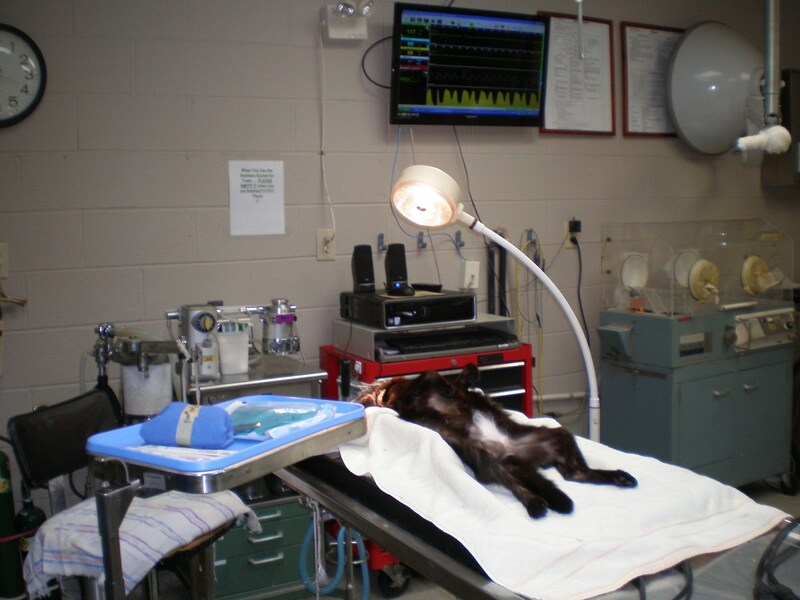 Elective: We offer spays and neuters to all of your furry friends. We also offer feline declaws on indoor cats. Please feel free to inquire more on the procedures offered. 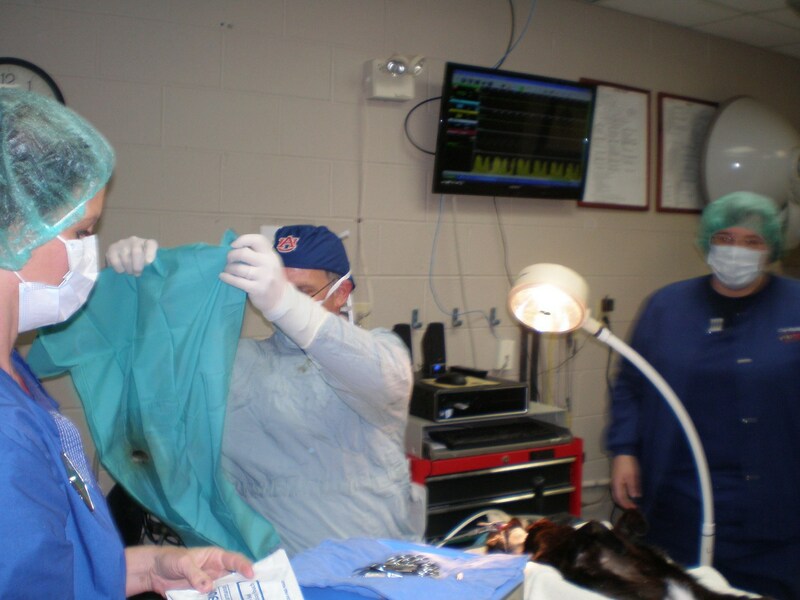 Soft-Tissue: Our services range from traumatic injury repair and tumor removals to bladder stone removal and abdominal exploratory procedures. Please feel free to inquire more on the procedures offered. 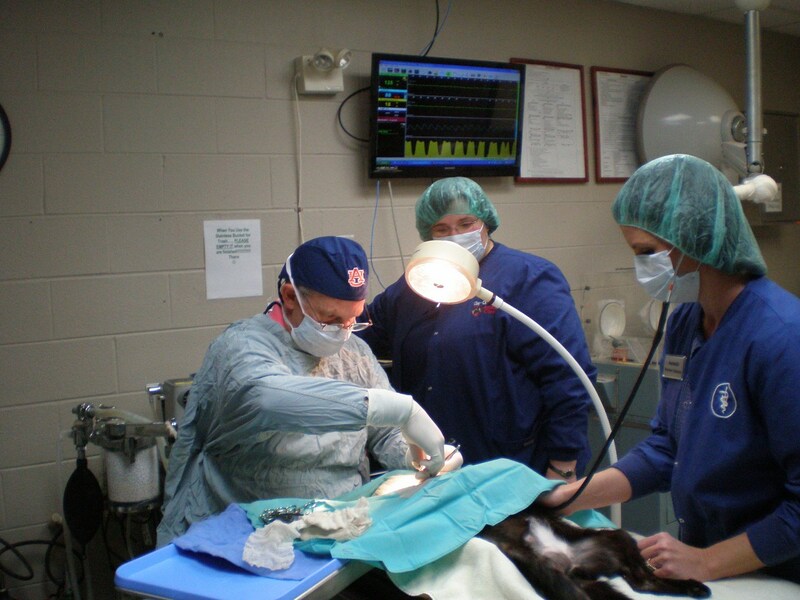 Special: These surgical procedures are not offered at every veterinary hospital and include procedures such as ear crops, tail docks, and eyelid entropion repair. Please feel free to inquire more on the procedures offered. Dental: We are not only capable of cleaning/scaling your pet’s pearly whites; we also handle necessary extractions or oral growth removals. Please feel free to inquire more on the procedures offered. Our veterinary nursing staff will call you after your pet recovers to give you an update on his/her condition and answer any questions you may have. You are always welcome to call at anytime for an update on your pet. SPECIAL One of our nurses will call you after the procedure is complete and again before the closing of business to update you on your pet’s condition and answer any questions you may have.